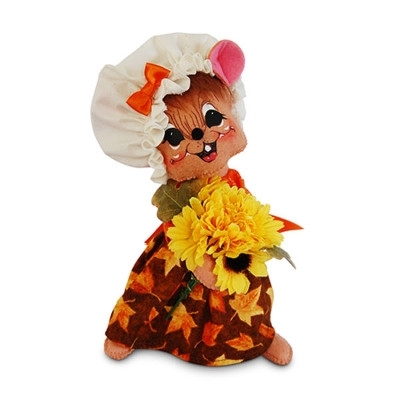 This 8 inch amber mouse is dressed for autumn. She is wearing a brown skirt with a leaf print on it of gold and orange. She is wearing a blouse done in an orange delicate leaf print with a large orange ribbon sash. 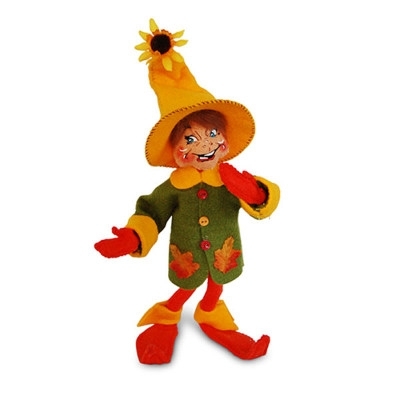 This 10 inch orange elf is wearing a green coat with multicolored buttons.It has a long golden colored hat, as well as wrist and ankle cuffs. 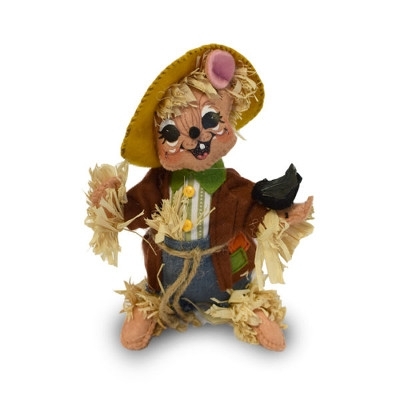 There is a sunflower at the tip of his hat as well as leaves for pockets on the coat. 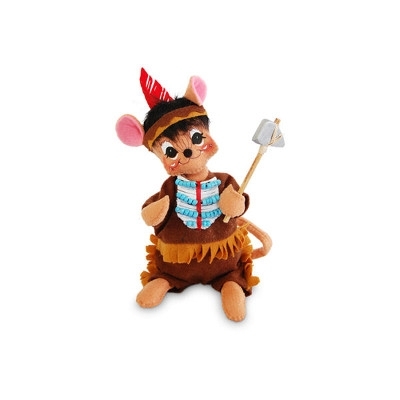 This 6 inch amber mouse is dressed in a brown buckskin dress trimmed with a lighter fringe around the hem, sleeves and collar. She has on a multicolored beaded necklace and is holding a papoose wrapped in a light colored blanket. 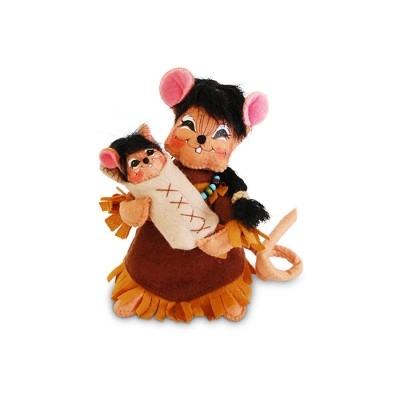 This 6 inch amber mouse is so cute. He is wearing brown buckskins with the chest area ornamented with light blue beads. He has a lighter fringe on the hem of his shirt and on the sides of his pants. He also has a red feather sticking out of his headband. He is also carrying a small tomahawk. This item looks very nice on display with our Indian Girl with Papoose too. 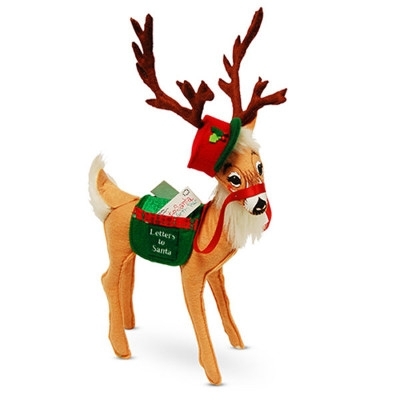 This 12 inch reindeer is wearing a jaunty red cap with a green bill and holly berry accent. The saddlebags is done in green felt with a green swirl fabric over the back with red and green fabric for trim. The words “Letters to Santa” are embroidered on the saddlebags. There are also a couple of letters sticking out of the saddlebags.